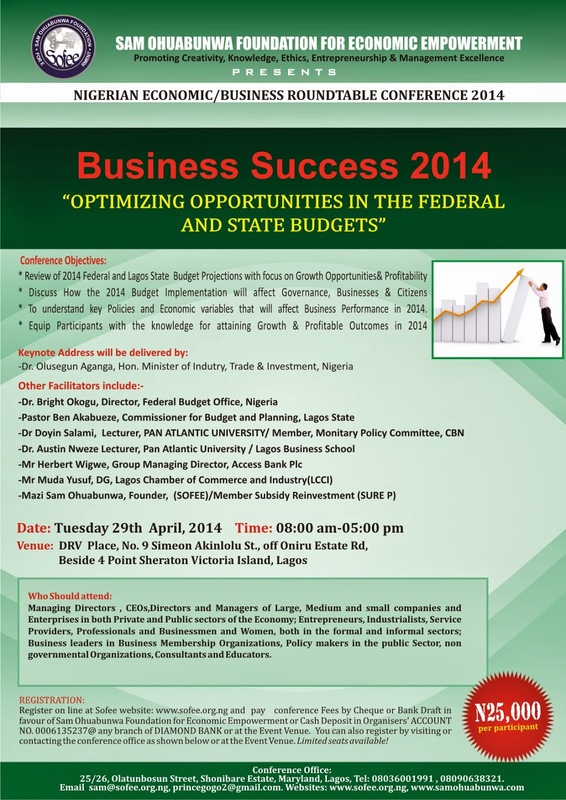 Tagged-Business Success In 2014: "Optimizing Opportunities In The Federal and State Budgets". Venue: DRV Hall, off Oniru Estate Road, by Four Point Sheraton, Victoria Island, Lagos Business Success is based on the level of knowledge you acquire to keep it running...come and get it right here!!! STOP THIS CARNAGE NOW.....before it gets too late! My heart was broken, watching security and rescue officers pick up pieces of human flesh into a bag at the site of last Monday's mayhem at Nyanya, a suburb of our Federal Capital, Abuja. I wept as I watched the wreckage and the wanton destruction of human lives by a band of demented and grossly degenerated criminals who go by the name Boko Haram. Truly I believe that these evil men have crossed the line of Total insanity. And we can not be watching and appealing to them . Do they look like people who listen to appeals? Let all these appeals cease. It is insulting and disgusting. These animals with the basest instincts have completely lost every bit of humanity and can not respond to any human overtures. I fully subscribe to the democratic tenets of freedom of Speech, Association and Movement. But it must be accepted that each freedom has its limits and must be exercised within the circumference of the law. I have for several years been appalled by the ease with which Nigerian Politicians switch camps. A man belongs to a particular political party in the morning and just because his suggestion was not accepted at a meeting in the afternoon, he announces to us with glee and no feeling of remorse in the evening that he has joined another party, and while we are still trying to understand what that means to us his supporters or electorate,he announces next morning, perhaps after some overnight ' reconciliation' or 'settlement' meeting that he has gone back to the party he left yesterday evening. All in the name of freedom of association! What kind of freedom is this? 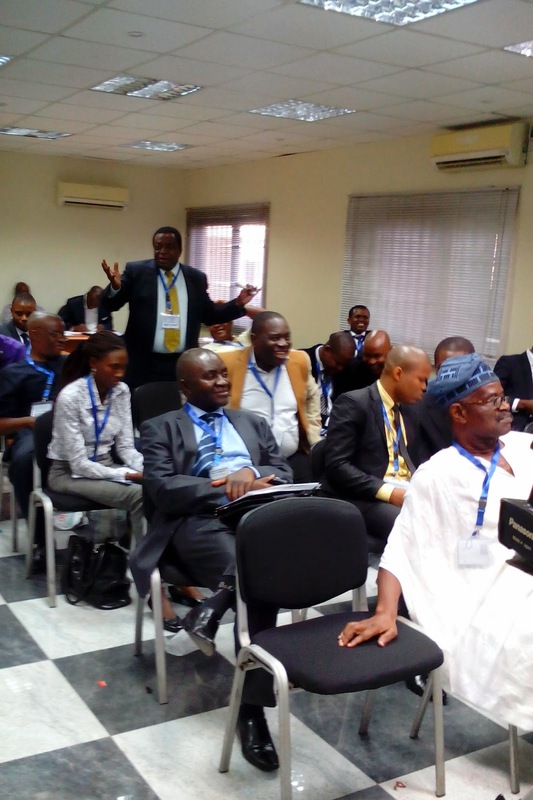 Sam Ohuabunwa Foundation for Economic Empowerment (SOFEE) is a multi-sector based Not-for Profit Non-Governmental Organization committed to the economic empowerment of individuals, organizations, communities and nations through economic advocacy, capacity building and training on entrepreneurship, job creation and business excellence.